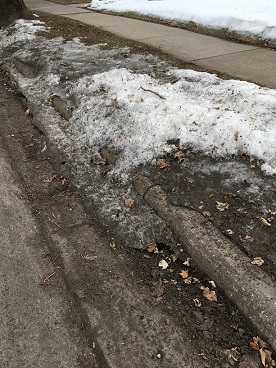 The month of March in Minnesota can be a very sad and very depressing month. 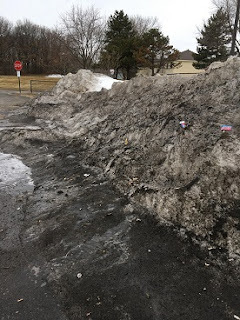 The beautiful fresh white snow from the winter turns in to a frozen, dirty, filthy pile that holds on to every piece of debris that has come across its path over the long winter. 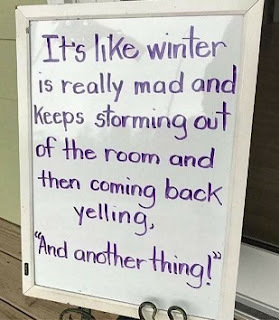 During this time period, people tend to not be as “Minnesota-Nice” because their vitamin D levels are completely depleted and for most days the skies are bleak and grey and void of hope, causing great sadness. I had one of those days last week. Right before we left our house to go to help cook a meal for church, Cathy and I got into a conversation that quickly ‘went south’. Our emotions (I blame the string of cloud-filled days cooped up) kept us from really responding in a loving way. No matter what was said, we both reacted as though we didn’t hear what the other had said and silence became the place where both went to avoid further hurt. We got in our truck and drove to our destination without saying anything to each other; trying to place our commitment to serve above the need to fix our hurts. Basically, we were like two porcupines trying to embrace without poking each other. As I drove, my mind was further drawn into discouragement and isolation by the bleakness of the sunless skies and dirty snow. My dullness to my emotions was only shaken as I swerved to avoid the deep crevasses we call “potholes”. All around me seemed to be death and darkness; not light or life. Soon after we arrived, Cathy and I got to work and kept our conversations focused on the tasks at hand. At some point Cathy mentioned to the homeowner where were doing the cooking that there were tulips up in her yard; adding that they were quite tall. Tulips; where did she see tulips amid all of that death and decay? She saw them next to the same house that I had arrived at. She saw them in the same gardens that I had walked past; the ones still covered with dead leaves, stick, snow, and debris. She saw something that was always there just below the surface of my reality. Life was waiting to come up; hope was about to arise. Later that evening at our LifeGroup, I was able to share about how I had reacted wrongly and died to myself in order to bring forth life. I am happy to report that Cathy and I ended our day on the same page. My friends, there is a purpose for the death in order to bring new life that is waiting to arrive. 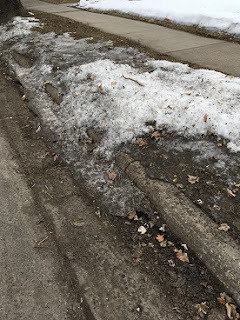 The bleakest month of March in Minnesota is a picture to also remind us that there is always hope waiting to arise. Even beyond the clouds, above the sun was still shining, even though it hadn’t been seen by us mere mortals here on the earth. Even on the darkest day when death seems to have taken over everything, there is still hope…new life beneath the surface; beyond the death of winter. A little over two thousand years ago, a group of men and women spent three days that were even worse than a Minnesota March that just didn’t seem to end. These men and women had stood and watched their friend and teacher Jesus get tortured by a severe whipping and then stripped naked and brutally nailed to a cross and left to die; which He did. Afterwards, they watched as His lifeless body was placed in a tomb and the tomb sealed with a very large stone that was rolled in front. These men and women were without hope and saw nothing good coming out of this situation. The coldness of their reality filled them to great despair. They had no confidence that hope would arise. And yet it did, for after three days, Jesus was resurrected from the death that tried to hold Him in the grave. Beneath the cold earth life was waiting to spring forth. And because of Jesus’ triumph and victory over death, we too can have confidence that beneath the surface of our “darkest winter that doesn’t seem to be ending”, there is hope waiting to arise! To see it, we, like Cathy did when she saw the tulips, need to slow down and let the hope arise. We need to let Jesus come to us like He did to the men and women who were in such despair and hopelessness. We need to let Jesus bring hope in way that ONLY He can bring it; through His Word (the Bible), through worship of Him, through spending time with Him. And because of His death and resurrection ALL who ask can have new life! This new life can be yours TODAY! 1-888-NEED HIM or 1-877-2GRAHAM (1-877-247-2426). Easter has been a symbol of hope for me. Hope of new life. Hope for tomorrow's blessings. Hope that the people I love dearly will join me on this road to heaven. It's like shedding a cocoon from your body and realizing your a butterfly. Freedom to choose to bring honor and glory to the one man who paid the price for my sins. I was reminded that Jesus did every miracle here on earth as a man, not as God. Had he used any of his Godly powers it would have nullified what he did on the cross. I am an ordained pastor and artist and I have been married to Cathy since 1981! We have 6 adult children, two daughters-in-law, three sons-in-law, and seven grandchildren!